In a figurative sense, Strakon already built bridges in its earlier versions – i.e., between 2D, 3D and BIM. Thanks to the smooth transitions from object-oriented design to 3D construction and the BIM design method, Strakon users can chose the working method individually appropriate for the complexity of building construction, civil engineering works and precast construction. The new 2019 version from Strakon supplements the spectrum of application by adding bridge construction. Special functions for automated 3D/BIM planning of individual bridge superstructures, including alternating transverse gradients, changes in cross-sections, expansions and haunches are among the most significant new additions. The important routing and gradient data for the design of complex bridge constructions for generating 3D routes can be imported per file or manually. These are automatically generated with the aid of clothoids, circular arches, parabolas etc. Superstructures with changing cross-sections are also generated by the program. Every point of the bridge profile can be linked with its own path or with a 3D route. For generating plans, Strakon also offers, in addition to 3D views, functions for development and/or curve sections. The automatic evaluation functions include an elevation table, which provides the height of each profile point along an individually definable grid. Strakon 2019 now enables, apart from the current IFC 2x3 standard, BIM data exchange with the new IFC 4.0 format. 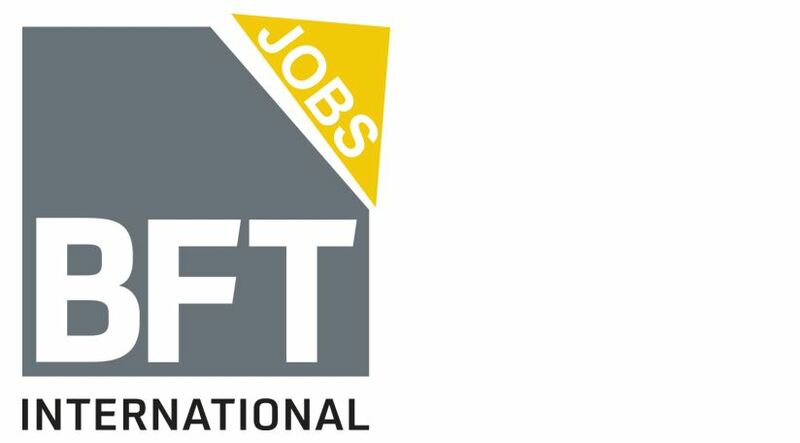 A certification for this format is expected for 2019. The 3D reinforcement contained in the model is transmitted to the IFC file as “genuine” reinforcement, including all parameters such as diameter, position number etc. This reduces the size of the IFC file. With the IFC format, an exclusive exchange of object geometries of 3D objects, flex components and embedded parts is now possible. In addition, the IFC import was extended in accordance with task-orientation. IFC files can now be imported as reference in order to display, for example, only the contents. If a new version of this IFC file is generated in the course of a project, it can be simply exchanged by updating the reference. The IFC data are finally integrated into the model by resolution of the IFC reference. With this function, several IFC data can also be downloaded in parallel into the current 3D model as reference and individually displayed or masked. Visualization is gaining increasing importance due to model-oriented planning of building construction, engineering works and precast construction projects. Visualization of complex construction elements, precast components and projects prior to implementation can prevent misunderstanding and expensive production errors. 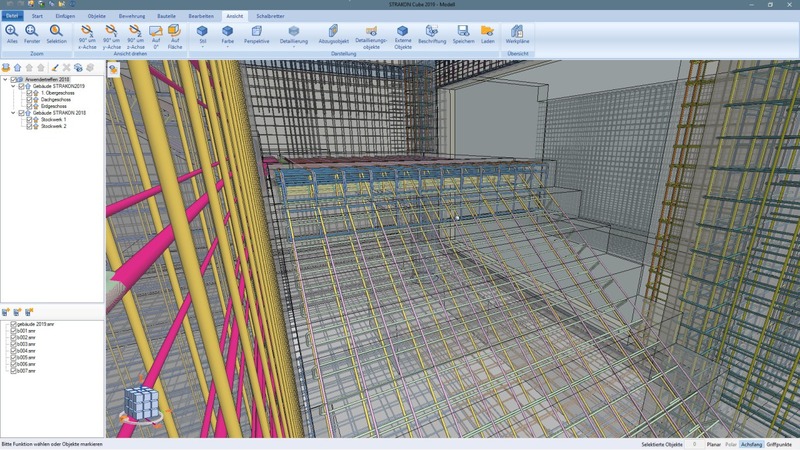 In the new Strakon 2019 version, 3D/BIM projects can therefore now be visualized even more realistically. In addition to the parallel perspective, it is now also possible to switch, by mouse click, to the central perspective for a more high-relief impression of the project. If visualization of material and texture is also activated, an even more realistic view of the project is obtained. Virtual objects are possible. In this way, developers and investors can also get to know the project on the inside and from every desired perspective. Especially attractive visualizations can be printed in high resolution. 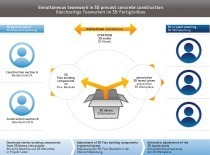 Direct 3D and BIM functions were not only extended: the new functions also make processing of the 3D layout even more efficient. In addition to automatic hatching of cross-sectional areas, front views, for example, can now also be hatched to graphically enhanced drawings. By specifying section plane and viewpoint, for example, cutouts and recesses in a plan or in a top view shown from behind the viewpoint of the observer can be displayed in a different way than being viewed from the front. Strakon 2019 automatically provides cutouts, recesses as well as wall openings like windows and doors with parameters such as length, width or parapet height. 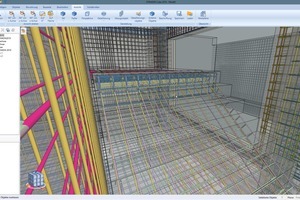 These data are evaluated when providing the 3D drawing with captions so that a recess in the drawing, for example, is automatically displayed in width and height. If such a recess is changed, the caption text is automatically updated. Strakon users can generate 3D embedded parts either themselves, or can download them from the manufacturer’s online catalog. 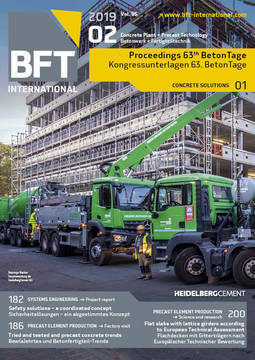 Strakon 2019, however, also provides many embedded manufactured parts: for example, from Halfen, Hilti and Philipp. These have the advantage that they do not have to be separately downloaded; the degree of detailing is more practice-oriented and the matching views of the material and the drawing adjustments are already contained in the program. The 3D embedded parts in the 3D views are displayed in an abstracted way, with the advantage that the drawing is displayed correctly and faster. The performance problem that occurs when using a large number of 3D embedded parts with a high degree of detailing was also elegantly solved by Strakon 2019: the 3D embedded parts are displayed in detail only when zooming onto the model. Strakon is characterized by many additional new features. For example, objects whose cross-section continuously changes can now be generated by the new blend function. 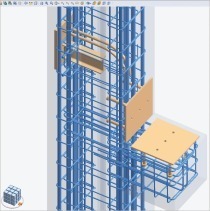 Also new is the so-called cube reinforcement, which enables direct entry of reinforcement into the 3D model, automatically displays the 3D reinforcement views and positions them in the drawing.